Details for your local City councillors can be found in the links below. There are three councillors per ward. 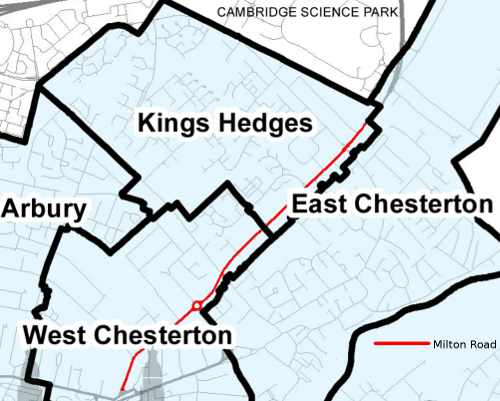 You can view the Cambridge City Council Ward map HERE and the NEW County Election Division map HERE. See the candidates' responses to our questionnaire HERE. You can find out more about how the Greater Cambridge Partnership/City Deal is governed and organised HERE. The Federation of Cambridge Residents Associations (FeCRA) comprises nearly 90 Cambridge Residents’ Associations plus other community associations and individual members. Although associations may face different issues, at heart we all want to preserve or improve the quality of life in Cambridge. We would like to widen our membership so that it is truly representative of Cambridge’s communities, so do get in touch. Secretary, Dara Morefield at secretary@fecra.org.uk.